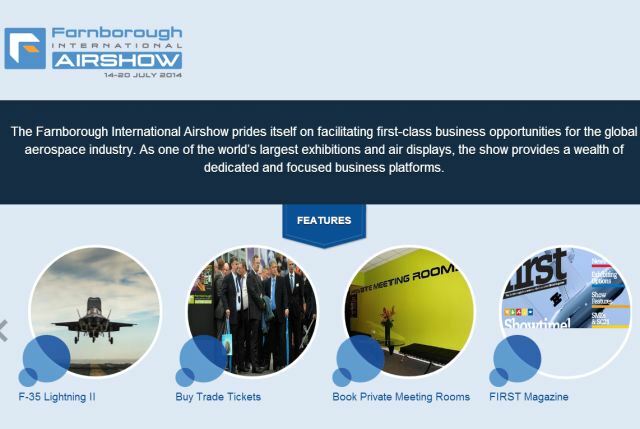 The Farnborough International Airshow offers companies, small, medium or large, a unique opportunity to showcase products and capabilities to a truly international audience. The organising team work hard to create networking events and conferences that maximise your return on investment across the aerospace, defence, security and space sectors. As organisers of one of the world’s largest exhibitions, we pride ourselves on the shows initiatives we have developed to facilitate business taking place at the event. A wealth of dedicated and focused areas, have undoubtedly boosted business opportunities to all of its participants and visitors. 2012 saw 1506 exhibiting companies and 107,000 conducting US$72 billion of confirmed orders and commitments. Trade visitors of the event will experience an abundance of business benefits including networking with the industry, exchanging ideas and gaining an insight into the latest technologies and services on offer.